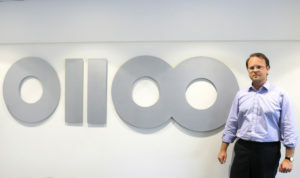 Zero 2 Infinity is proud to announce Tim Muehlenbach has joined the team as the new CFO. Tim has a broad experience in the finance sector after having worked at renowned companies like BNP Paribas, the Royal Bank of Scotland and Goldman Sachs. This is the first journey into the Space sector for Tim, and Zero 2 Infinity wishes it’s a pleasant one. Tim will work closely with founder and CEO Jose Mariano Lopez-Urdiales and COO Dimitris Bountolos to keep up with the growth of the company. Welcome, Tim! You can find Tim Muehlenbach on Linkedin here.